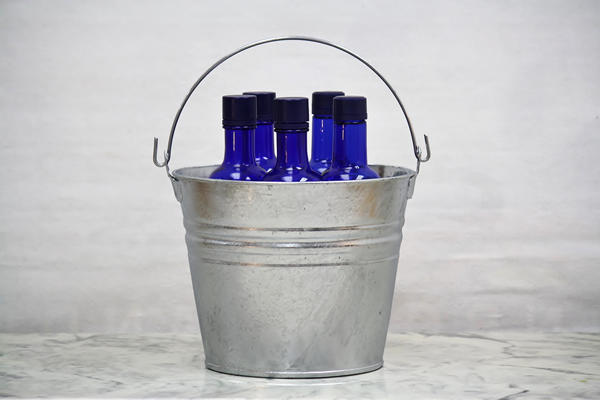 These timeless 6 quart galvanized steel buckets are made of hot-dipped galvanized steel and will last for years of use and exposure to the elements. 6 quart buckets come equipped with a durable handle, body swedges, an offset bottom, and a reinforced rim to enhance durability and ease of use. They are perfect for carrying feed, tools, or freshly-picked vegetables. Fits five regular size beverages or three larger wine-sized (24 ounce) bottles. This galvanized steel bucket has functional timeless style for any job that needs a rugged metal bucket inside or out. We put about and inch or so of sawdust at the bottom and used it to carry eggs back from the barn.